Avoid smoking:Smoking reduces life expectancy by 15-25 years. 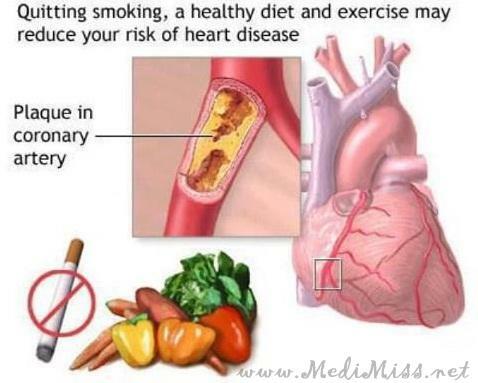 If you are a smoker, you are twice more likely to have a heart attack than a non-smoker. 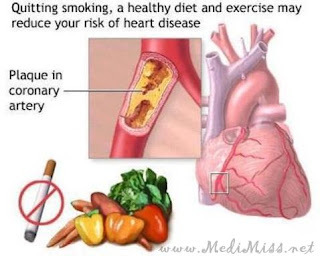 The moment you stop smoking, the risk of heart attack begins to reduce. Cut down on salt:Too much salt can cause high blood pressure, which increases the risk of developing coronary heart disease. Watch your diet:Try to have a balanced diet. Eat fresh fruits and vegetables, starch foods such as wholegrain bread and rice. Monitor your alcohol:Too much alcohol can damage the heart muscle, increase blood pressure and also lead to weight gain. Avoid intake of alcohol or at least limit it to one to two units a day, gradually decreasing the consumption. Get active:At least aim for 30 minutes of moderate exercise a day. Keeping yourself fit not only benefits the heart but also improves mental health and well-being. Monitor your BP, blood sugar and cholesterol levels:Routine medical check-ups will ring an alarm, if you need medical help. Manage your waist:Cholesterol deposition in blood vessels begins in the first decade of life. Carrying a lot of extra weight as fat can greatly affect your health. Make small but healthy changes in your diet. Manage your stress level:If you find things are getting on top of you, you may fail to eat properly, smoke and drink too much. This may increase your risk of a heart attack. Practice yoga/meditation. Take a vacation. Check your family history:If a close relative is at risk of developing coronary heart disease from smoking, high BP, high cholesterol, lack of physical activity, obesity and diabetes, then you could be at risk too. Laughter is the best therapy:Laughter anytime will work wonders for you. It is an instant way to unleash the pressure and it makes you feel light. CARE YOUR HEART... IF YOU DON'T... IT LEAVES YOU DYING! !